Ft. Collins, Colo., August 25, 2015 – Dust off the costume, shine up the bike and get ready for another epic and bewildering day as Tour de Fat rolls into Denver. Tour de Fat arrives in City Park on Saturday, September 12. The daylong event is free, yet all donations and proceeds from beer and merchandise sales go to Denver-area non-profits. Some of the eclectic entertainment includes co-headliners Sister Sparrow & The Dirty Birds – who recently performed on The Today Show– and The Suffers, a ten-piece band from Houston recently featured on the Late Show with David Letterman, who will bring the redefined sound of Gulf Coast Soul to the Mile High City. Brewing education, a bicycle revival, rideable art bikes, a “Thousand Person Dance Contest” to win a New Belgium cruiser bike, yo-yo performers, vaudeville acts and a fashion show are also in the mix. In addition, Tour de Fat’s Le Tigre Grande variety tent ups the ante, adding more entertainment options from past years. As for the fundraising, the entire 2014 season raised more than $625,000, with the Denver stop bringing in a record-breaking $101,003. 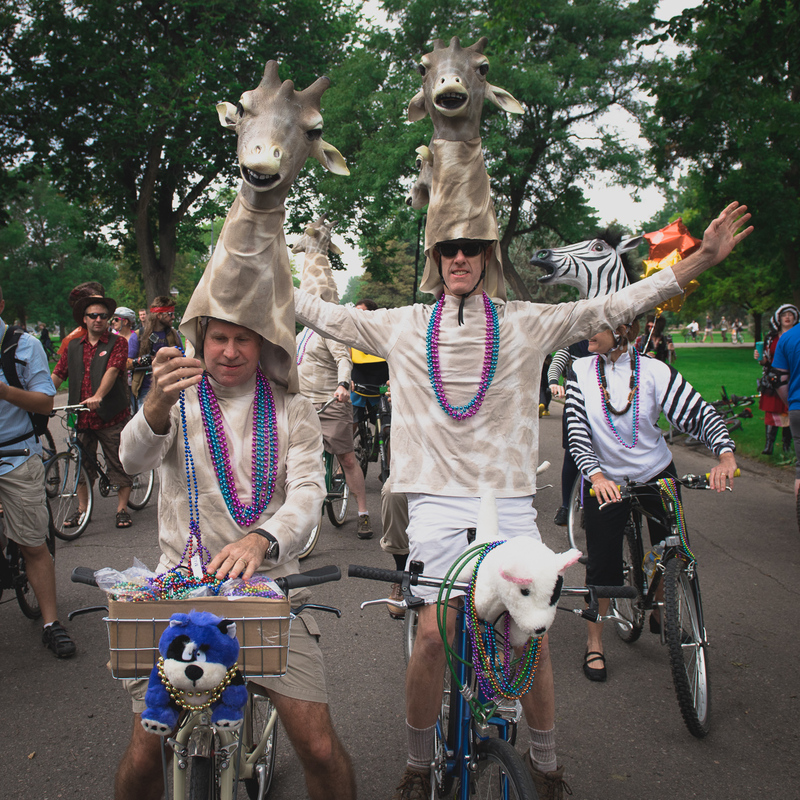 This year, all funds raised in Denver will go to BikeDenver and The Denver Cruisers. Every year, New Belgium gets one brave role model to step on stage to trade in his or her car keys for a bike, pledging to live car-free for one year. Each swapper is awarded a stipend to buy his or her own commuter bike. Car-for-Bike swappers are chosen after submitting an application describing why they are ready to give up their vehicle for the gift of two wheels. 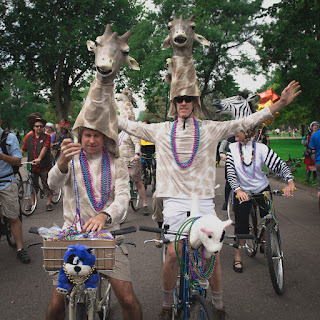 This year, the Car-for-Bike swapper in Denver will be New Belgium’s 100th bicycling hero! We’d love to hear from interested swappers. Apply at - NewBelgium.com/Events/Tour-de-Fat/CarTrader. 3:10 p.m. — 1,000 Person Dance Contest – Winner receives a New Belgium Cruiser! 3:50 p.m. — SSSSnake! Rides Sputnik! 1:10 p.m. and 4:10 p.m.
You can pre-register and donate to receive a limited edition Tour de Fat license plate or bike light at http://bit.ly/1IYW5ra. See Facebook.com/TourDeFat for the Tour de Fat credo, schedules, videos and to submit an entry to swap your vehicle for a fancy new bicycle. For more on the Denver stop, click here.